who joined straight after graduating! Today we’re featuring one of our Danish Googlers, Anna, one of our newest sales rockstars who joined Google in 2012, to give you an inside look into the Associate Account Strategist, SMB Sales role. If you’re interested in applying for an SMB Sales position, check out our open opportunities at the bottom of this post. Tell us about your path to Google? I was born in Luxembourg, the country that my Danish mother and Swedish father called home back in 1983. Since then I have lived in Sweden, Denmark, Chile and now in Dublin. My “home” hasn’t got latitude and longitude coordinates, it’s more like a state of mind - I feel at home when I’m surrounded by cultural diversity and inspiring people. I guess I’ve always seen the world as a playground, and I’ve had a strong desire to live abroad. I studied Business, Language & Culture (English and Spanish) at Copenhagen Business School, and in 2011. I went on exchange for a semester at Trinity College Dublin, and I completed an internship at Google Ireland. 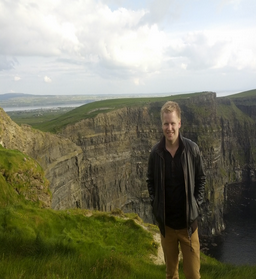 I was thrilled when Google offered me a full-time job, and I returned to Dublin in July 2012. What is your role at Google? I’m a sales rockstar in the Nordic SMB Sales team, and I help Small and Medium sized businesses grow their business with AdWords. Most of the time it feels like I am consulting my clients rather than selling to them - I educate them and share my knowledge about online consumer behaviour and show them how they can use AdWords features and products to reach consumers at different stages in the buying process. I have targets I need to reach each quarter, but it’s really an enjoyable task to be selling Google AdWords! Google is a strong brand, and it’s easy for clients to measure the ROI they get from AdWords. How would you describe the Nordic SMB Sales team? We are small but mighty, and we work smarter, not harder! My colleagues are Danish, Swedish, Norwegian and Finnish, and each of us work on growing our respective markets - at the same time we are one Nordic team with a strong sense of unity. I cruise to work on my red grandma bike, which I brought with me from Denmark. It takes about 15 minutes to get to work - and all the way I am longing for my breakfast at Google! Every morning I take a trip down memory lane as I eat my breakfast at Google - the delicious oatmeal porridge with almond flakes and fresh berries totally reminds me of my childhood in Sweden. My adult self craves a steaming hot and creamy cappuccino, and now I’m ready to start my day. I usually have 3 calls scheduled before lunch - talking to clients gives me energy, and that’s how I like to start my day. The clients I talk to work with diverse business models, and sometimes I speak to the owner of the company, and other times it’s a staff member. It varies a lot how savvy the clients are, and I adapt to their level to ensure that we are speaking the same “language”. The sales job is really about communicating with people and understanding how they conduct their business to be able to help them get the best possible ROI from AdWords. I believe my work has a real impact - I share my knowledge in online advertising and that helps my clients grow their businesses. My lunch time is often equal to networking time. I like scheduling lunch dates with inspiring Googlers from other teams and nationalities. When the weather is good, I take the chance to have lunch on the rooftop terrace, or I visit the local food market close to the office. After lunch it’s time for some hands-on work. I’m not only talking to the clients on the phone, I also help them optimizing their AdWords accounts. This involves improving the basic structure of the account, analyzing the data in their account to optimize performance and increase ROI. By analyzing the account I can also identify new opportunities, such as Mobile campaigns, Display Network campaigns, and Remarketing campaigns. I hang out with some teammates in the “microkitchen”. It’s a very casual meeting where we can snack and recharge energy while we share our best practices. In the afternoons I like to attend trainings that are arranged by the Google Learning & Development team. These are trainings that are designed to help me improve my sales skills and ensure personal development. That’s Irish for “What’s happening?” - Well typically I go to Bikram Yoga, go out with friends, or dance salsa. I’m a passionate salsa dancer! What's your favourite Google memory or ‘Magic Moment’? During my internship in 2011, Eric Schmidt visited Google Ireland and I had the opportunity of attending a presentation where he shared insights about Google’s future business strategy. That is truly a memorable moment in my Google career! It was a Magic Moment for me when Nikesh Arora announced that Google would bring all sales teams to Las Vegas for a Google sales conference in 2013 - I almost couldn’t believe it! Nurture your curiosity, never stop learning, and remember that sky’s the limit! Posted by Anna Nordkvist, Associate Account Strategist. As part of our ‘A Day in the Life of a New Grad @ Google Dublin’ series we’re highlighting the work of 8 Googlers in our Google Dublin Office who joined straight after graduating! Today we’re featuring one of our Danish Googlers, Anna, one of our newest sales rockstars who joined Google in 2012, to give you an inside look into the Associate Account Strategist, SMB Sales role. If you’re interested in applying for an SMB Sales position, check out our open opportunities at the bottom of this post. who joined soon after graduating! Today we’re featuring one of our German Googlers, Mengühan, to give you an inside look into the Associate Account Strategist, SMB Sales role. 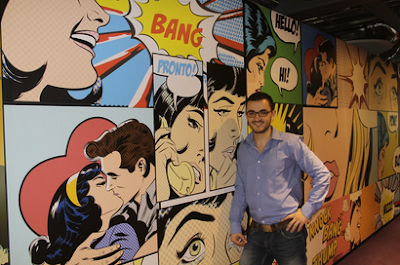 Mengühan began his career with Google as a summer intern and returned to be a full time Googler after his studies! If you’re interested in applying for an SMB Sales/Services position, check out our open opportunities at the bottom of this post. I grew up in a small town near Stuttgart in Germany and majored in International Business and Finance at Reutlingen University. During my studies, I completed several internships in industry, consulting and eventually at Google as well. In retrospect, Google was the only place where I was actually looking forward to leaving home to go to work in the morning. 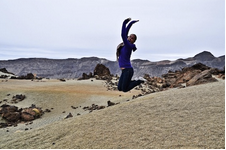 For me, it was clear that I wanted to join Google for a full time position after graduating. Why Google and not other companies? That’s easy. At Google, you have the opportunity to work with some of the smartest people. If you are interested in technology, then Google is the place to be. Besides that, the perks are unbeatable with free gourmet food, on-site massages, gym and gaming corners on each floor. I’m an SMB Sales Associate for the German speaking market. I advise small and medium-sized businesses on their online marketing strategies. This can include finding tailor-made solutions for our clients, helping them navigate through their account or talking about how they can cope with upcoming trends. My role is very entrepreneurial. You can decide how and when you want to work. The flexibility is of course bound to high responsibility, but if you are able to manage and discipline yourself properly, you will do well. Sales is in my opinion the best place to acquire the skills you need for a successful career in any corporation - communicating professionally on a high level (mostly with CEOs), working towards targets/objectives and, of course, building great relationships with your customers. How does your role fit in with the larger team? As a salesperson at Google, you have a lot of responsibility, towards both your customers and Google. Google’s revenue is generated from AdWords which means we in the sales teams play an important role as our work enables our colleagues from other teams to work on cool new products and innovation. The most amazing part of my job is that I advise mainly small businesses. Most small businesses cannot afford to hire a marketing professional so they rely on me to be their Chief Marketing Officer. It’s just great to talk to young entrepreneurs about their goals and ambitions and their strategies to compete in the market. Tell us about a typical day in your life at Google. My smartphone’s alarm is ringing - let´s snooze for five more minutes, and then five more, and then again.. nope, I’m not a morning person. I love the snooze alarm function. Finally, I get up, and I’m already excited about my breakfast at work: Waffles with Nutella and freshly-squeezed orange juice. Epic! After my delicious breakfast and espresso to kick-start the day, I go to my desk and check my emails. I have set several labels in Gmail, so I know what to look for. It’s time to schedule some appointments with my customers. German customers are very active in the morning so, with the support of a nice cup of Maroccan Mint tea, I am usually able to schedule around three client appointments. Between 10 am and 12 pm, I usually have my first scheduled calls with customers. I take about 20 minutes to analyze the accounts to find optimization potentials. Early in the call, I try to understand the business model, the market, the competitors and so on. It’s always extremely interesting how people make money. I love sushi, so today I decide to meet with a friend at the Earth Cafe where they have a sushi bar. Salmon Mango Maki and Tuna Nigiri, I love it. The black forest cake for dessert of course, feels like home. After around 1pm, I usually have some other calls. Customers tend to be more relaxed with a full belly after lunch. Of course, I do, too. Sometimes the campaigns of customers have to be built from scratch. That’s when we have our creative time. While my music is cranked up in my headphones, I think about a proper structure for the customer’s account - i.e. which customer groups to target and which online marketing channels to utilise. For instance, I like creating banner ads with the AdWords ad builder. It makes you feel like a designer. In the evening, I usually have some time for personal projects, such as writing this blog post. The best way for me to finish a day is to power out myself in the Google gym. That’s difficult. I have talked to many clients that were very interesting. Once, I talked to a the CEO of a start-up that provides a car sharing service in Munich and it was one of the first of its kind in Germany. You can basically pick up a car anywhere with your member card and pay on a per minute basis. I’ve always thought that car sharing is the next big thing in public transport. Hearing the strategy and data behind the concept from the CEO was very exciting. Have you done a rotation onto another team? If so, can you tell us about that? I did my internship last year on the same team but for the Turkish market, as I am of Turkish heritage. It’s unbelievable how customers differ. Turkish customers have to build up a personal relationship before you can give them any suggestions on their work. German customers usually cut straight to the chase. Hard to say what I would prefer, sometimes I want to chat, sometimes just do my work. At Google, magic happens and is created on a daily basis. I know that sounds cheesy, but that’s actually what makes everything “Googley”. During an internal social engagement activity called Age Engage, I taught a senior citizen how to use a computer, the internet and a social media site in order to stay in contact with his grandchildren. He, in exchange, shared personal and very interesting aspects of his life with me. Personally, I found that magical. Take a short break. I took one month off to travel after graduating. It really helped me to get a new and fresh view on everything and my life. After that, I would plan over some months for the application process. Don’t go for the first offer, get some options by applying to many companies and then decide for the place that suits you best. For me, it was Google. I love to work in a technology company with a young and dynamic working environment. Google facilitates the lives of so many people every day - that’s amazing. I would say, choose the job you really want, not the one you think will bring you the most money. Good luck! Posted by Mengühan Ünver, Associate Account Strategist. As part of our ‘A Day in the Life of a New Grad @ Google Dublin’ series we’re highlighting the work of 8 Googlers in our multicultural Google Dublin Office who joined soon after graduating! Today we’re featuring one of our German Googlers, Mengühan, to give you an inside look into the Associate Account Strategist, SMB Sales role. Mengühan began his career with Google as a summer intern and returned to be a full time Googler after his studies! Google Student Ambassador Program in Latin America - 2013 Launch! The summit included a jam-packed two-day agenda full of workshops and trainings that provided a unique networking opportunity by bringing all of the students from the region on-site. Students were not only exposed to Google’s tools, products, programs and technologies by over 20 Googlers, but were given resources to enhance their professional development that they could take back to their peers as well. Additionally, many Ambassadors enjoyed their first visit to a Google office, where they were introduced to our unique, collaborative work environment and given an opportunity to meet our hard-working sales, marketing and Developer Relations teams and learn about their day-to-day. And the fun wasn’t confined to the office - Ambassadors got the chance to explore the city, were treated to a classical Argentine meal and tango show, and had to put their learnings to the test at Tango classes! By the time the Ambassadors danced their way to the stage during the graduation ceremony, it was evident how close they had become to one another and how much they had learned during the summit. Many of the newly appointed LatAm GSAs described this opportunity as one of the most rewarding, empowering experiences of their life, which we were thrilled to hear. We only anticipate great things on campus from our LatAm GSAs in 2013! 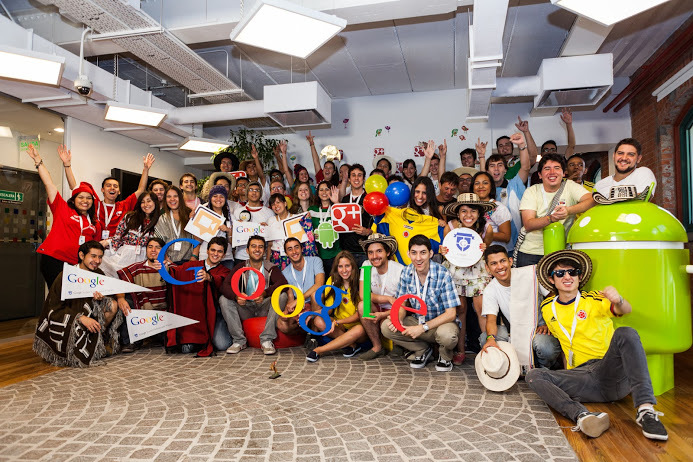 During the first week of March 2013, Google invited 49 students from 32 universities and campuses from Argentina, Chile, Colombia, Mexico and Peru to participate in our second annual Google Student Ambassador Program in Latin America. With only 19 students last year, the Google Student Ambassador program more than doubled in size and added a new country to the mix! Ambassadors are given the unique opportunity to serve as liaisons between Google and their campus for the academic year, holding workshops, trainings and events with their university community around Google’s core products, programs and initiatives. In order to perform their role as Ambassadors most effectively, we invited our stellar new class of students to pack their bags and make their way to Buenos Aires, the capital of Argentina and largest Google office in South America, to attend our annual summit. who joined soon after graduating! Today we’re featuring one of our Dutch Googlers, Janna, to give you an inside look into the Associate Account Strategist, Global Customer Services role. If you’re interested in applying for an SMB Sales/Services position, check out our open opportunities at the bottom of this post. I grew up in Holland, where I did a Bachelors degree in Social Sciences. I then went to the London School of Economics (LSE) where I completed a masters in Organizational and Social Psychology. Upon graduation I spent a year working in sales and marketing in London. One day I received an email from a fellow LSE graduate who told me that Google was hiring. I applied - thinking that at the very least I’d get some good interview experience - and two months later I moved to Google’s EMEA (Europe, the Middle East and Africa) HQ in Dublin! How do you explain to your grandmother what you do at Google? I’ve tried that before! My core job is to support AdWords advertisers - well in my case, Dutch speaking advertisers. So I help them via email, phone and chat to develop good advertising strategies and to solve any problems they may run into. In addition, I fulfill several roles on the team. For example, I’m responsible for the content on the Dutch AdWords Help Center. It is my job to make sure that all articles posted are up to date and correct. I also evaluate and monitor the customer-interactions of some of my colleagues to ensure they meet Google standards. Every few quarters we change roles within the team, so that everyone has the chance to learn new skills. Lots to learn, it seems? No day is the same! This quarter I have been selected for a 50% rotation which I am really excited about. This means that I will spend half of my time with a different team within the organization to gain new experiences. I joined the Staffing Team. This team falls under the People Operations Group and is responsible for hiring the next generation of Googlers into the organisation. During my rotation, I’ll be developing my project management skills and I’m looking into creating some impactful process improvements for them. 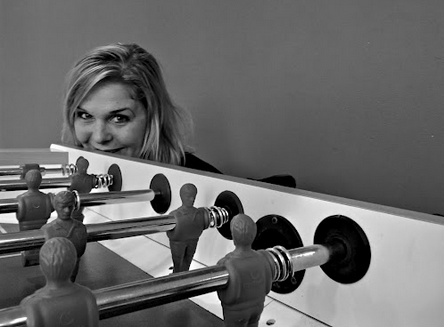 Yes, believe it or not, in between our regular foosball competitions we do actually get some work done in the end! And now that we have a miniature golf course on our floor, there’s yet another opportunity for me to broaden my skills set! Posted by Janna Walvoort, Global Customer Services. As part of our ‘A Day in the Life of a New Grad @ Google Dublin’ series we’re highlighting the work of 8 Googlers in our Google Dublin Office who joined soon after graduating! 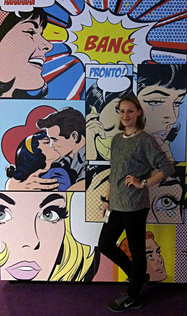 Today we’re featuring one of our Dutch Googlers, Janna, to give you an inside look into the Associate Account Strategist, Global Customer Services role. If you’re interested in applying for an SMB Sales/Services position, check out our open opportunities at the bottom of this post. MENA 2012 Google Student Ambassador Program: Do Cool Things That Matter! The Google Student Ambassador Program is an opportunity for university students to work closely with Google, develop their professional skills, and collaborate with people from around the region who are excited about technology, or eager to learn. The 2013 application for the Middle East and North Africa region is now open, and the deadline to apply has been extended to April 24. Since the start of the 2012 academic year, the MENA Google Student Ambassadors held many successful events, spanning 11 countries and 80 universities in the Middle East and North Africa. The events, ranging from training workshops to casual meetups, served to educate their respective university communities about Google products and programs relevant for students. Among the successful events were campaigns to enrich the Google Maps content of their countries using Google Map Maker. The Ambassadors collected thousands of edits through these ongoing campaigns, and it’s still growing. The Google Student Ambassadors (GSA) in MENA have also succeeded in holding social media awareness events, introducing new features of Google+. One of these events hosted none other than G+ Ambassador, Myriam Fares at AUL in Lebanon, along with Wael Fakharany, Google’s Regional Manager for Egypt and North Africa. Hundreds of attendees watched as Myriam Fares introduced G+ features, including Hangouts, and talked about how it helped remove the barrier of distance between her and her fans around the world. But GSA activities aren’t just limited to campus. 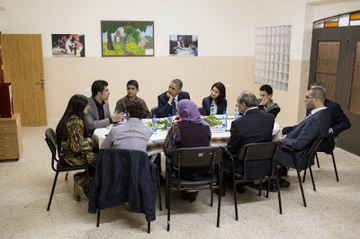 During his recent visit to Palestine, President Obama asked to meet with active youth to understand the problems, challenges, as well as youth initiatives in the region. Local NGO’s nominated eight students to represent their country to the US delegation. Among the elite eight was Akram Dweikat, Google Student Ambassador and Google Developer Group (GDG) leader in Nablus. Akram was selected because of his numerous activities in the field of technology as a GSA, a GDG leader, and even before that as an NGO volunteer. During his meeting with President Obama, Akram spoke about the GSA and GDG programs and related events, including StartUp Weekend Nablus and other events he held on campus. He talked about how investment in entrepreneurship, new business ideas, and development would help build a better future for those in Palestine. Though support for these initiatives is still much needed, programs such as the GSA and GDG enable communities to learn from one another and share valuable experiences. They also help to highlight and enrich the skills of the talented youth in the region - creating a gateway for university students to discover their hidden potential, challenge themselves in the field and get recognized for their hard work and ultimately do cool things that matter! If you want to join the fun - and are currently studying for your masters or bachelor degree in a university in the Middle East and North Africa with at least one more academic year ahead of you - this is your chance to be part of history and become a 2013-2014 Google Student Ambassador. Deadline for registration has been extended to April 24, 2013, so apply now! To learn more about the program, please watch this video for the 2011 Google Student Ambassador Training, or check our our previous blog post. Today we’re featuring one of our Norwegian Googlers, Håvard Nyberg, who joined Google in 2011, to give you an inside look into the Associate Account Strategist, SMB Sales role. 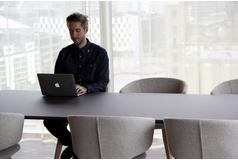 If you’re interested in applying for an SMB Sales position, or any of our new grad roles in Google Dublin, check out our open opportunities at the bottom of this post. I studied international marketing at university, and have always been interested in the role of the internet in growing businesses worldwide. Working for one of the worlds best known and most transformative companies seemed like a pretty good option. I work in SMB Sales where I help small and medium sized Norwegian advertisers develop and follow through on their online advertising strategy. The ability to work with small and medium companies to help them grow their business was something that really attracted me to Google in the first place. The team I work in is called SMB Sales Nordics. As the name suggests, it is a cross-nordic team, made up of people from all the nordic countries. There are about 20 people on the team all handling different markets and responsibilities, but we work together and report as a truly Nordic team. I like to get up early in the morning. While walking to work, I listen to audio-books, especially historical biographies. Churchill, Napoleon, you name it, I like to walk to work with these guys. Everything you have heard about food at Google is true and more! It all begins at 8am when a delicious breakfast is served. I like to have eggs in the morning, usually coupled with some bread and a glass of cold milk (nordic style!). I take the elevator up to my desk (fastest elevator in Ireland, true story) to do some typing. The first thing I do every morning is clear my inbox. After sorting my emails I usually spend time reaching out to my clients. It can be everything from developing an email, to making phone calls and even having a live Hangout with advertisers where we go through the different opportunities open to them. We usually have a huddle around 11, where we spend some time updating each other on what we are working on. Lunch at 11:30...I know! We Nordic people like to eat early, so we usually go for lunch around this time. Usually I have lunch with Googlers from my team, but I also try to meet up with people on other teams. After lunch I spend my time checking emails again and following up on whatever needs it. When that’s done, I tend to spend my time building advertising campaigns or attending meetings. I make sure to take a proper break around this time to go to the micro-kitchen to have a snack and a coffee with some coworkers. The rest of the day is usually a mix of meetings, and following up on projects that I have taken on. When we set up my current role for Norway. I was the first person to work on wide scale sales towards Google’s SMB clients in Norwegian media-agencies, and it has been a great ride to see what works and what doesn't work. My favourite Google memory was when I got to be an art-teacher for a day at an inner city children's school. Google is a very socially responsible company, and we set aside time every year to give back to the community. 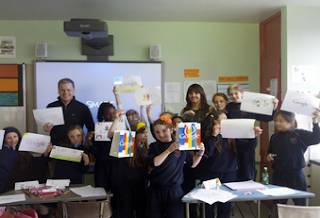 To teach art to 9 year olds was an experience I will never forget! One fun fact about yourself? Me and my brother once had this crazy idea of starting a country-and-western themed bar/restaurant in our home town back in Norway. We had an awesome time doing it! Try to find a company that matches your values and what you find important. I don't think it’s possible to do great work unless you really believe in your employers core mission and values. As part of our ‘A Day in the Life of a New Grad @ Google Dublin’ series we’re highlighting the work of 8 Googlers in our Google Dublin Office who joined straight after graduating! for the Computer Science Summer Institute (CSSI), a three-week summer program for graduating high school seniors who are interested in studying computer science. Today through the My Summer @ Google series, we're bringing you another story from former CSSI participant, Alice. Alice is a CSSI alum and freshman at the University of California at Berkeley studying computer science. If you'd like to learn more about CSSI, visit our website and apply by April 7th. I have always been inspired by how computer scientists such as Larry Page and Sergey Brin have changed the world through technology, and I thought it would be cool to spend my summer at Google. Although I was quite interested in computer science, I was actually uncertain whether or not I could pursue it. I had never programmed before CSSI, and I had this misconception of computer scientists being expert hackers (which I wasn’t) who played video games for most of their time (which I didn’t). Therefore, attending CSSI seemed like the perfect way for me to not only experience what it is like at Google, but also learn more about computer science and find out if it is right for me. At the end of two very intense weeks of training, we were ready to take on the big challenge of creating our first web applications. We were divided into groups, and immediately began working together. What I really liked about the projects was that we could do anything we wanted. This made the process extremely enjoyable because everyone was so excited about what the group was creating that we all worked tirelessly together to make our web applications the best they could be. We also received lots of support from interns and other Googlers who not only helped us debug our programs but also showed us the master ways of doing things. Finally, after a week of frantic programming, we finished our web applications and presented them to Googlers around the world (thanks to Hangouts!). It was truly an amazing feeling to realize what everyone achieved in three weeks and to have our web applications tried out by other people. 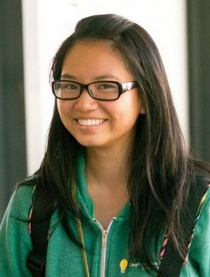 CSSI was life changing for me because it helped me discover my love for computer science and convinced me to pursue the field. It really opened up the door to a whole world that I had never dared to enter, and showed me how beautiful computer science is. Learning how to make web applications has given me the power to create anything I want, and since the program ended I have built several web applications myself to solve some of my problems. The Googlers and fellow CSSIers I met have taught me how to tackle problems in different ways and have inspired me to be the programmer I am today. Interested in CSSI? Apply here! Introduction: Earlier this month we launched the application for the Computer Science Summer Institute (CSSI), a three-week summer program for graduating high school seniors who are interested in studying computer science. Today through the My Summer @ Google series, we're bringing you another story from former CSSI participant, Alice. Alice is a CSSI alum and freshman at the University of California at Berkeley studying computer science. If you'd like to learn more about CSSI, visit our website and apply by April 7th.